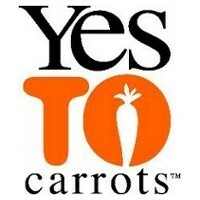 Previously called Yes To Carrots C the Difference Exfoliating and Soothing Mud Mask. Most masks are meant to hide your face - not this one! We mask you to uncover your radiant, lovely face. Yes To Carrots Nourishing Softening Facial Mask revitalises and purifies your skin, firming and tightening to leave a velvety luster and luminous complexion. Don't hide behind this mask, GLOW with it! Apply a thin layer of Yes To Carrots Nourishing Softening Facial Mask to your clean, smiling face. Use a circular motion to thoroughly cover your face, avoiding your mouth and eyes. Gently wipe away with a damp washcloth after about 5 minutes. Refresh your face with a splash of cool water and pat dry. - Organic Carrots are brimming with Beta-Carotene, a natural antioxidant that protects skin from damaging free radicals. - Aloe Vera is a highly effective, naturally gentle moisturiser that is known to refresh and soothe skin. Full ingredients: Water (Aqua), Kaolin, Glycerin, Prunus Amygdalus Dulcis (Sweet Almond) Oil, Aveena Sativa (Oat) Kernel Meal, Titanium Dioxide, Caprylic/Capric Triglyceride, Magnesium Aluminum Silicate, Aloe Barbadensis (Aloe Vera) Leaf Juice, Daucus Carota Sativa (Carrot) Root Extract, Silt, Punica Granatum (Pomegranate) Fruit Extract, Spirulina Maxima Extract, Camellia Sinensis (Green Tea) Leaf Extract, Ipomoea Batatas Tuber (Sweet Potato) Extract, Citrus Aurantium Dulcis (Orange) Fruit Extract, Simmondsia Chinensis (Jojoba) Seed Oil, Persea Gratissima (Avocado) Oil, Honey Extract, Bentonite, Tocopherol, Cetearyl Alcohol, Zinc Oxide, Alcohol, Potassium Sorbate, Phenoxyethanol, Fragrance (Parfum).